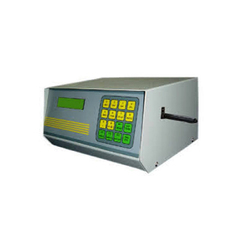 Our range of products include d300 digitizer weight indicator, bc 06 batch controller, intelligent terminal weighbridge indicator, barcode printing weighbridge indicator, formulation weigh bridge indicator and data logger weighbridge indicator. Humidity Up to 95% RH non condensing. 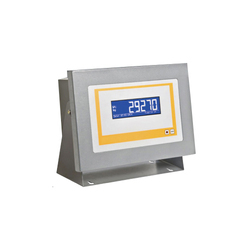 The D300 Digitizer Weight Indicator is a robust weight indicator designed to withstand harsh environmental conditions. It can operate accurately over a wide temperature range and humid weather. 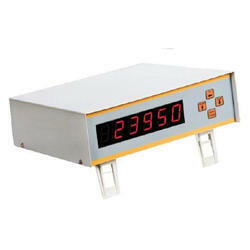 It is a microprocessor based indicator with Sigma Delta type 24 Bit Analog to Digital converter. Its power supply is incorporated with EMI-RFI filter, spike suppressor and optoisolation of signals to make it operate in the harshest of the electrical environment. Dual range system in which scale capacity is divided into two ranges with different division sizes.Three-step calibration to achieve perfect and error-free calibrationSmart calibration to provide correction for small weight errorsActual weight display at power ONAuto zero trackingWeight tracking to generate stable weight on display in loaded platform conditionDecimal point selectableAveraging of internal counts to achieve stable and accurate weightPassword for securityString selection with different communication parameters can be factory set as per user's requirement for interfacing the indicator with computer end software e.g. Avery, Mettler, Electronics, Ashbee, Sartorius, etc.RS232 serial protocol & parameters are field changeable to make the indicator output compatible with other makes of the indicator. Load Cell Excitation: 6V DC with current capability to drive up to 8 load cells of 350-ohm input resistance.Input Signal: 1 microvolt to 3 microvolts per division of weightSerial Port: RS-232 serial port for computer interfacing or remote displays. 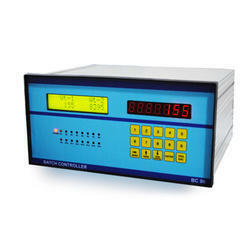 BC 06 Batch Controller is a multipurpose relay based controller for the industrial batching application. It can be used where feed and discharge are to be controlled by relays. There is an option for controlling the weight on 4 platforms simultaneously by sensing the weight on these platform through separate A/D converters. 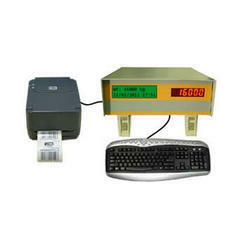 This controller has the facility to store the details of all the batches and print consolidated tickets & reports. Expert Intelligent Terminal Weighbridge Indicator is a rugged and sleek system specially designed for use in harsh and dusty environments. The software has been developed in such a way that it fulfills most of the requirements of weighbridge data management. This is a RAM/ ROM based system and does not have any rotating parts such as hard disc and hence gives you trouble free/reliable performance. 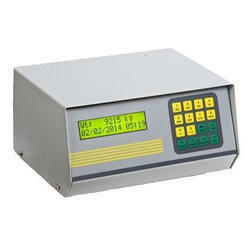 This intelligent Terminal can drive any size of LCD/LED/CRT monitors and is suitable for all weighbridge platform sizes.